With the nearing of another 'Transit of Venus' it is time to recollect the event on the Thames Goldfields, many years past. Of course it would remiss not to mention the earlier event that brought Captain James Cook to our shores in 1769. In 1874, a man named H A SEVERN, used good old kiwi ingenuity, to make a telescope to view the event. Some details on this are above and the full article explains more. Later the paper publishes full details on the planet and its wonders, plus the calendar of the cycles for viewing the transits. Disappointment filled the hearts of the local folk alas, as the day was cloudy and dull and there were no successful reports from the 'Thames observatory.' A full account of the day as seen from Professor SEVE(R)N's observatory were supplied to the Thames Star 16/12/1874. The early Thames-ites didn't have to wait long, in 1882 the excitement was approaching again. (Thames Star 2/12/1882) The weather was much better for this event and successful sightings occurred. A reunion for descendants and family of John & Elizabeth WILTON and Fred & Emma WILTON will be held in Thames weekend of 16-17th March 2013. John Moore Wilton, b. St Neot, Cornwall 26 Aug 1844, Elizabeth Jones b. Wednesbury, Staffordshire 1856; m. Thames NZ 4 Nov 1874 (8 children). m. Auckland NZ 17 Mar 1882 (13 children). John and Fred were copper miners in Cornwall and gold miners in Thames. 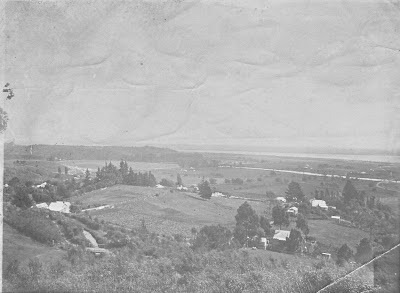 There are numerous Thames families who have a strong connection with Waihi. Why? When the gold situation in Thames failed to produce the fortunes many sought, miners flocked to other areas such as the Ohinemuri as further goldfields were opened. 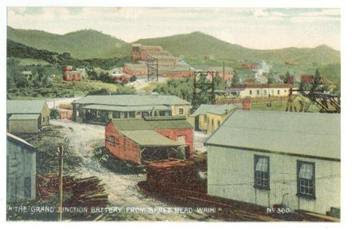 Many Thames miners ended up working in the Waihi and Karangahake area, at great mines such as the Martha Mine. 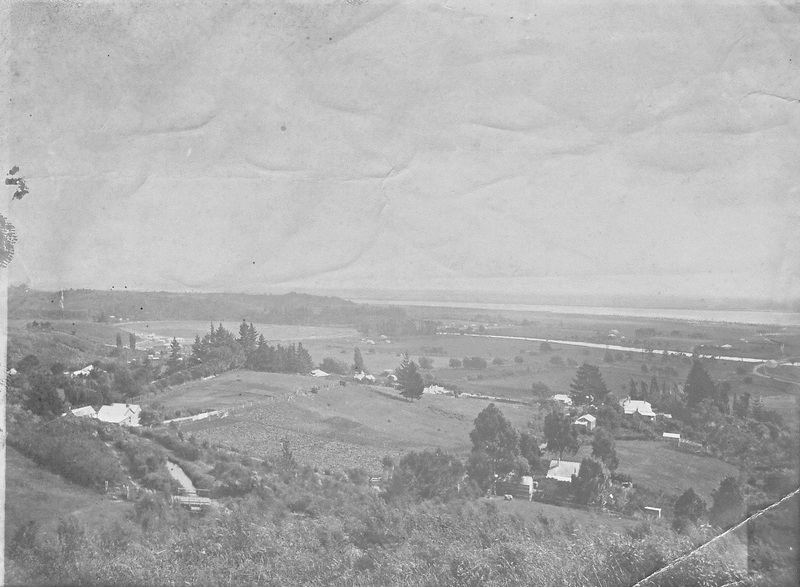 With many still in Waihi in 1912 at the time of the great Strike. The Waihi Museum has a wonderful new site, which includes several online databases. There are details of many of the soldiers from the town and surrounding area. Also a pioneer register, for early settlers of the town. One event on the website is the 1933 cage accident at the Martha Mine. My grandfather was in the accident and by all accounts they were very lucky to survive! Well thames-ites, you should all be busy now researching at PapersPast. Why? The Auckland Star has been updated to 1926!!!!!!!! The papers are full of Thames local and family news. A friend was checking Thames Hospital Board minutes, at archives and came across this wonderful photo of the Puriri Hotel. Quite a traffic jam for the small farming township! In the book, "Puriri a History of the school and district" it is thought that the first hotel was built about 1870 by Mr Say. That it was located nearer the Puriri Creek than the present hotel. 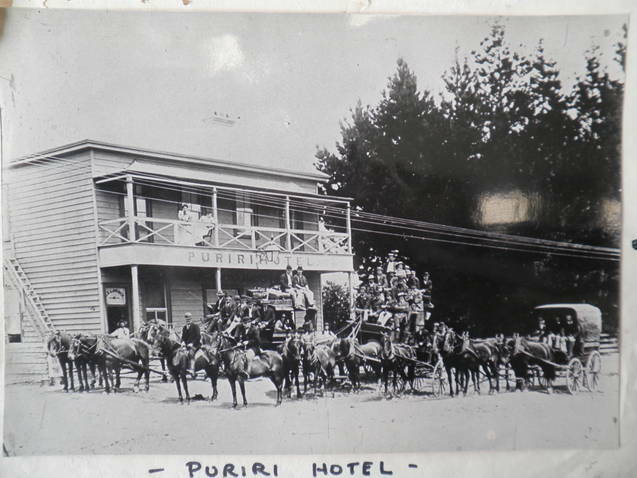 Then a larger new hotel was built about 1881 in the Puriri township. This photo appears in the book and is labelled as c1900. The coaches would stop, and horses changed or rested. The proprietress at this time was Mrs Laycock. Having just attended a graduation ceremony at Waikato University, I wondered how many early graduates of Thames High School there had been? a trip to view the Honours Board is definitely required! There are a few names in the Thames Newspapers, but it is not always easy to identify the Thames ex-students; as results were given by province. Below is the report for Mr K M BARRANCE of Waihi achieving his BA. Under a different system to that of today, Mr G Newell Phillips, the Headmaster of Waiokaraka School in 1880 obtained part of his BA degree. In 1882 Miss F HASELDEN of Kauaeranga Girls was sitting her exams for a BA Degree at Auckland. Miss Haselden, was a long serving headmistress at the Kauaeranga Girls/Sandes Street School in Thames.